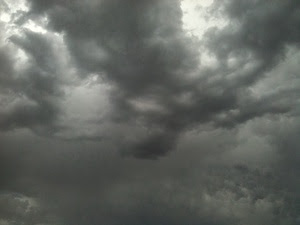 It wasn't so hot when I headed outside today ... And there was a faint smell of rain in the air ... LOVE THAT! Love this LH poem...always have. And your photos are great today! They tell a lovely story. The smell of the desert after it rains is one of my favorites. We had a brief rainshower here in Phoenix this morning as well. It was wonderful. Cute shoes! Beautiful quote! and... I LOVE YOUR SHOES! Line dried clothes and new babies!! Absolutely! I have another one to add. Baby chicks. We have 25 little balls of fluff in our spare shower and I can't stop kissing them and smelling them. Love your shoes too! 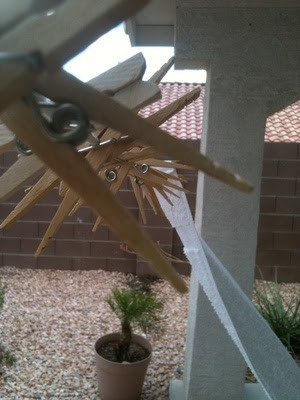 I haven't dried clothes on a line in forever...I need to do that! Rain sounds wonderful we have had a heat wave here this week and it's been HOT!! They say it's going to be 30 degrees cooler tomorrow, yippee! I owe you an email Sweet Friend...been trying to get my house prepared for our party this weekend. Hope you have a fabulous evening! how lucky are you that you can hang your clothes out to dry. i love that. i remember helping my mom do that when i was little. There's definitely something wonderful about the scent/feel of a rainy day. I love the rain and yes, the smell of clean laundry is wonderful! Denalee! What an amazing post today. I love no scent more than that of rain. I love the feel of it, I love how it looks, I love how it, sounds, and I love how it smells. I adore the rain. i would love to have a candle that smelled like fresh off the line laundry! i love to be outside just before it rains, for some reason it just make me feel calm & content. Found you thru French Charming......so glad I did. Love that quote! And those shoes are awesome. I've never hung dry my clothes outside but maybe I ought to! Rained here today too, which would have been great, but it is my first day of school with my first graders. Sounds like a close call with the close. Can I just tell you I absolutely love your shoes. So gorgeous.